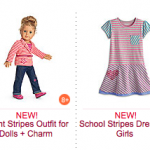 You are here: Home / online shopping / American Girl Doll Sale on Jill’s Deals & Steals Today! 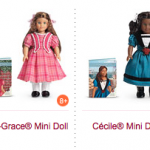 HEADS UP: An American Girl Doll Sale is coming to Jill’s Deals & Steals today! 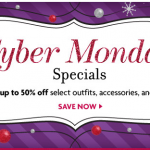 In the past, when they have offered these sales, I have been able to score American Girl Doll sets (including extra accessories or clothing) for $55-$60! The details on what will be offered are not live yet, but I wanted to give you a heads up so you can be watching for it! 2. These deals typically go live around 9 am ET. Make sure you check out the Jill’s Deals and Steals page to grab the link for when the sale is live! 3. BE PATIENT. The site will be slow or will crash. Keep refreshing. If at first you don’t succeed, try again. Also, typically they replenish the supplies when the show goes live on the west coast (around 9 am PT). 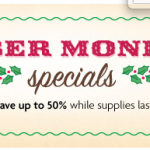 These deals DO NOT last long, so be ready to shop, shop, shop! Good luck and let me know what you get!